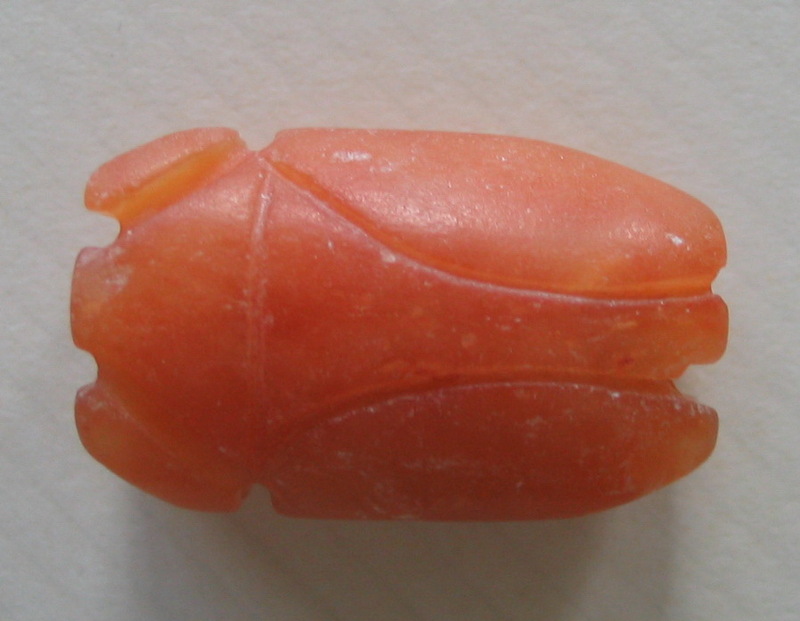 In ancient China cicadas were used as burial objects and are normally made from jade or white/green glass. Red cicadas on the other hand are rarely seen or documented. My guess is that, red being an auspicious color did not make "proper" grave goods and red cicadas were therefore not as popular as the jade ones. Perhaps, this one is modern or at least Qing as the surface is quite worn. Personally I prefer my cheery, chubby critter (allit.....allit... ah alliteration, it rhymes :) ) to the flat, aloof Han specimens which are made of jade or glass. 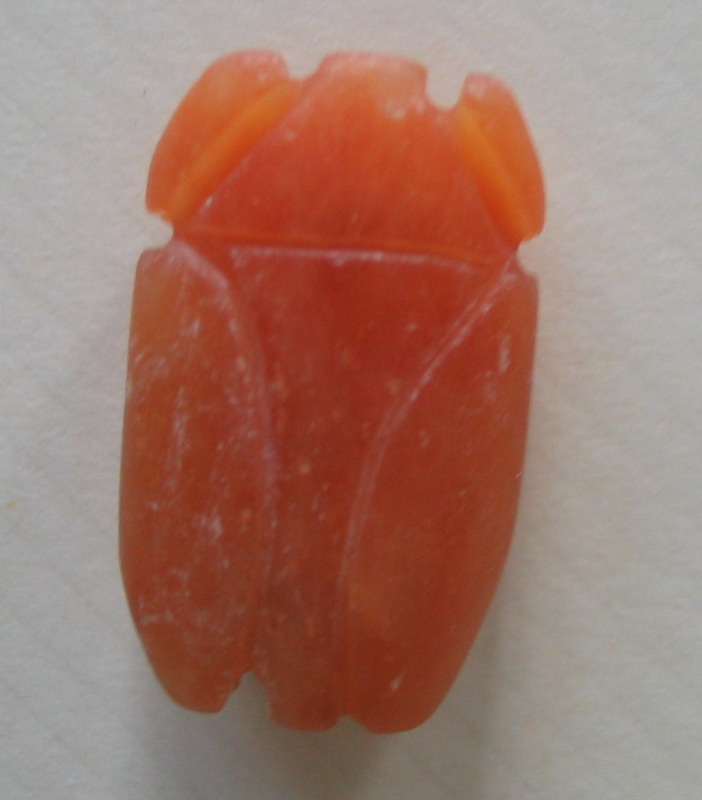 At first I mistook the material to be carnelian. On closer exam it turned out to be glass because of the bubbles seen under a magnifyer. Measuring 2.3cmx1.5cm in the round, this cicada has a deep cut on both sides of the body. I am not sure what the cut-in sides indicate. Had the maker intended to cut it into two flat cicadas but changed his mind at the last minute, and perforated it instead, turning it into a bead ? 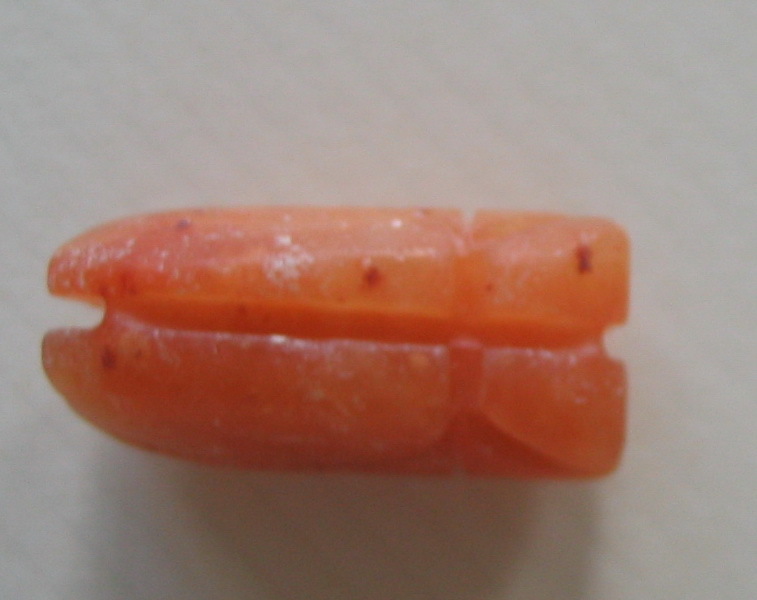 The large perforation is drilled from head to tail and the whole cicada measures 2.3x1.5cm. It could have served as a hair accessory or as a Pei. 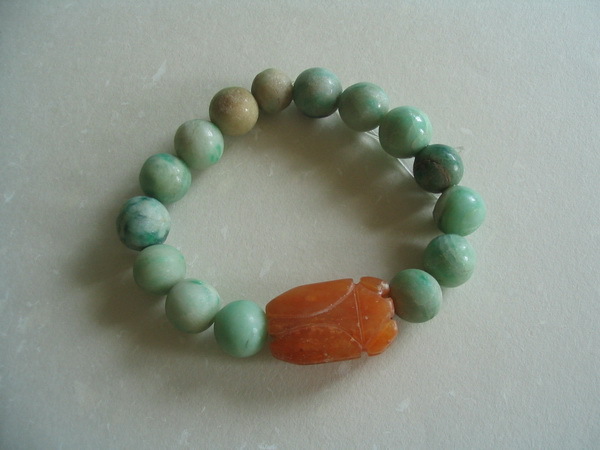 I have strung it with new Chinese turquoise beads for use as a bracelet. 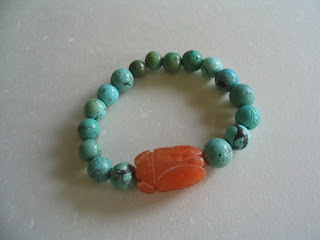 The bright turquoise makes the bead darker than it really is. An alternative bracelet with lighter jade beads, show up its subdued tones like a faded beauty.